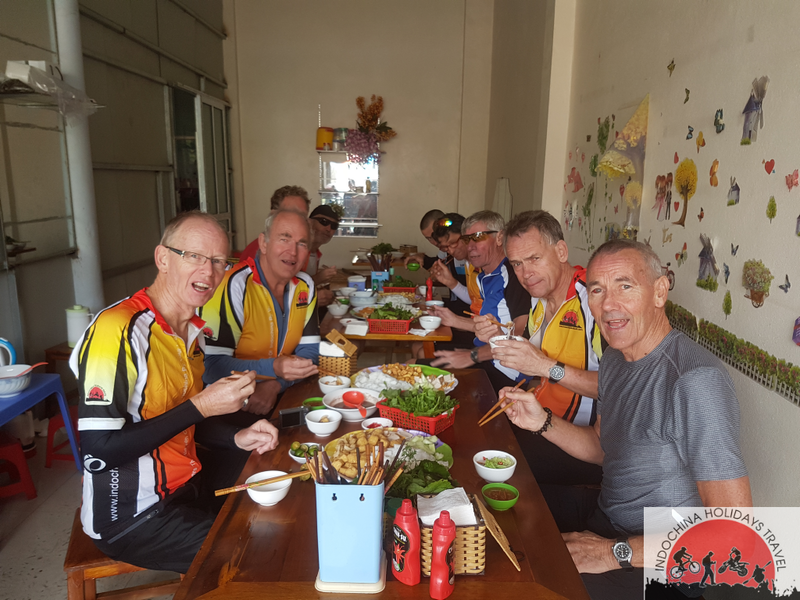 Saigon Cycling To Hoi An – 6 days .Vietnam is a country with a coastline 3,400 km long, with many beautiful coastal cities.Phan Thiet-Binh Thuan also has many beauty spots. This is the seven-colPhan Thiet City is best known for Mui Ne beach, with hundreds of luxury resorts.Phan Rang City: Phan Rang-Thap Cham is a coastal city of Ninh Thuan province, in central Vietnam. The most famous beaches include Ca Na, Ninh Hai, Ninh Chu, Vinh Hy Bay and Hang Rai. The beach in Nha Trang bay is the most beautiful one in Vietnam and the world. Tourists coming here can also discover the beauty of so many famous beaches like Dai Lanh, Son Dung, Doc Let, Bai Tru, Hon Tam, Bai Dai and Hon Chong.Nha Trang is one of the most famous coastal cities of Vietnam, the “heart” of Khanh Hoa province. The city is known as the pearl of the East Sea, a blue pearl, for its value of natural beauty as well as its climate.Tuy Hoa is a coastal city in the province of Phu Yen province. Dubbed the granary of the Central Region, this place also has dozens of dreamy beaches. The first to mention is the O Loan lagoon and Xuan Dai Bay, the famous landscapes with pristine natural scenery and fishing villages lying under the shadow of coconut trees.Some other beaches in Quy Nhon that are also favorite destinations are Quy Hoa, Bau, Xep, Dai and Nhom. All of the are wild and unspoiled.Quy Nhon is the center of economy, politics, culture of Binh Dinh province. This is a city with a long, beautiful semicircular coastline, with blue water and unspoiled landscapes. The most famous beaches there are Hoang Hau (Queen) and Ghenh Rang.Cua Dai is a beautiful and romantic beach. Tourists also should not miss An Bang beach or visit the beach of Cham Island. or stone bank in Co Thach tourist site. 7:30 Am .Morning, pick up and transfer to La Nga Fishing Village. We will have a look around the village to see the daily life of the locals living on the floating village since 1990. We then continue by minivan to Bao Loc Town, the kingdom of Tea and coffee. Stop at local coffee shop to taste free tea and coffee. follow by lunch at local restaurant. 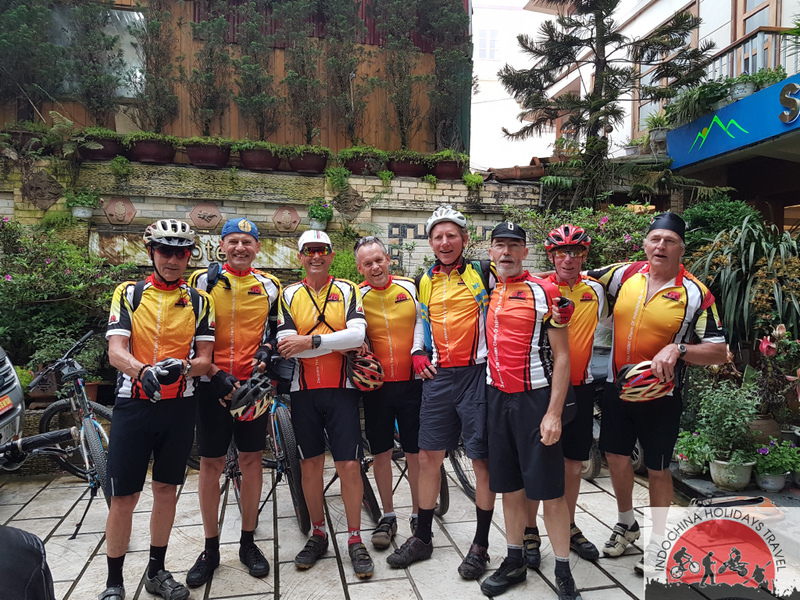 Afternoon, transfer another two hours and then we start riding to Dalat city with location about 1,500meter above the sea level. Evening is free on your own to explore the city of love.overnight in dalat. MOrning, riding around the city being called the second paris city. 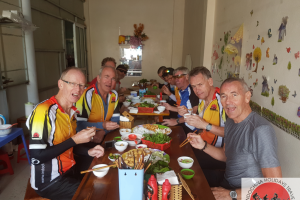 Cycling around the lake and visit to the Bao Dai Palace, the crazy house, Truc Lam monastary. Follow by taking a cable car to enjoy the best view of the city. Afternoon is free on your own.overnight in Dalat. Today is a great riding day from the hilly city to the beach city. Lunch will be at floating village. Back to the boat station in the afternoon. Overnight in Nha Trang. Enjoy your morning swimming, then we take out and have a short transfer to the Ca Pass where we’ll enjoy the coastal riding today to Dalanh Beach. Enjoy the beach and have seafood lunch. 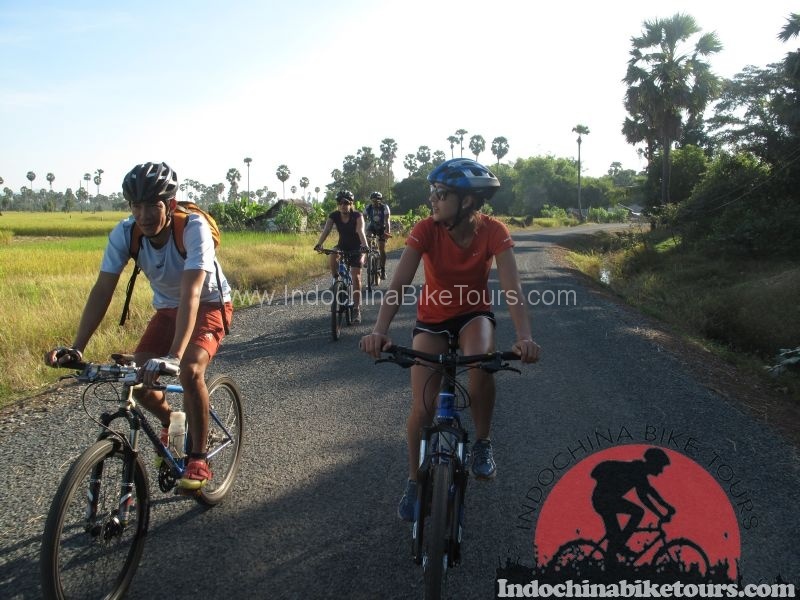 Afternoon, keep riding to Tuy Hoa city where we’ll have a night. Overnight in Tuy Hoa. MOrning, short transfer out of the city,then we ride in a quiet and peacful along coastal villages. 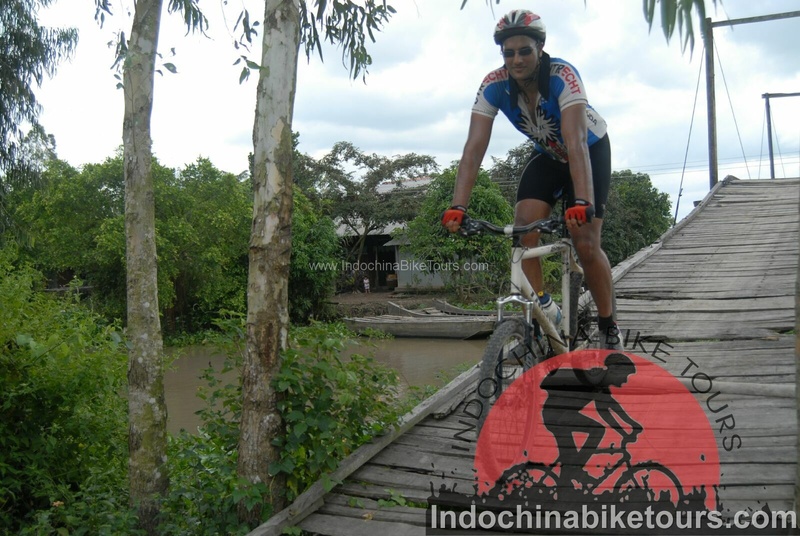 The ride today is quite easy as we cycle through fishing villages where we can see daily life of the locals. Afternoon, keep riding another 30 km along the beach. Overnight in Qui Nhon city. 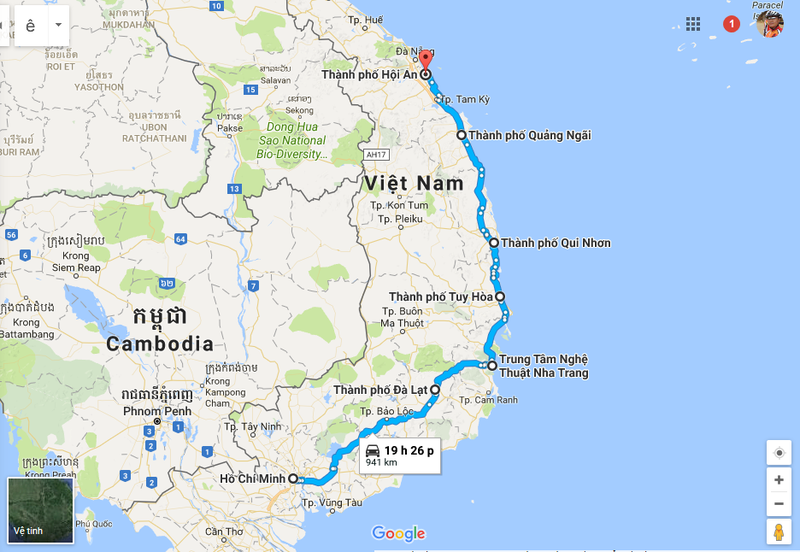 Long day today from Qui Nhon to Quang Ngai City with some transfer needed. 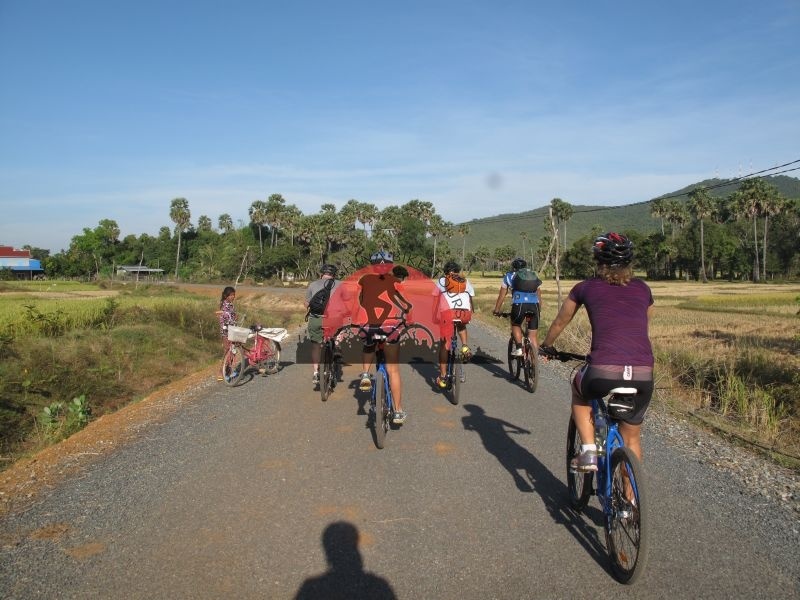 We cycle through some salt fields, rice paddies and get to know how the locals making salt in the central of Vietnam. 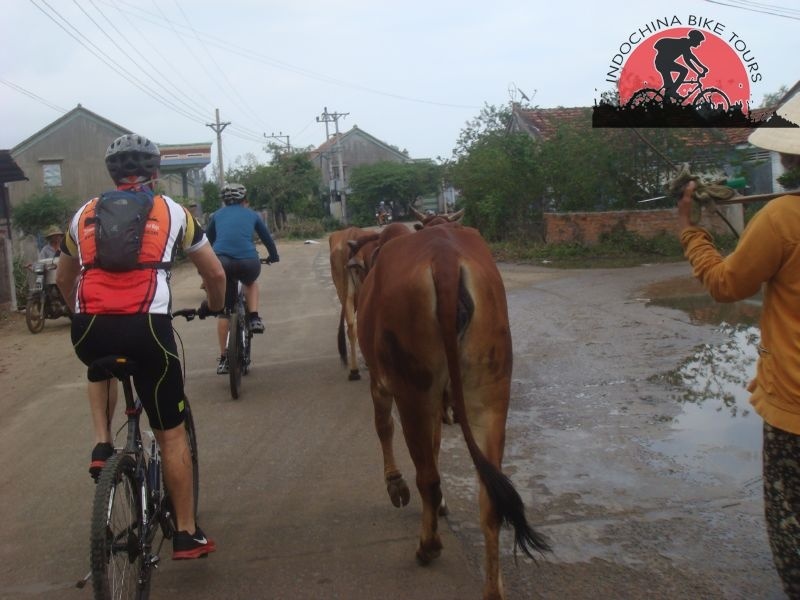 The roads again is flat and nice with some fishing villages on the way.overnight in Quang Ngai city.